JASON Learning - Living Well and Design Thinking Projects, April 5, 8:30 - 3, LEARN, Old Lyme, $25. 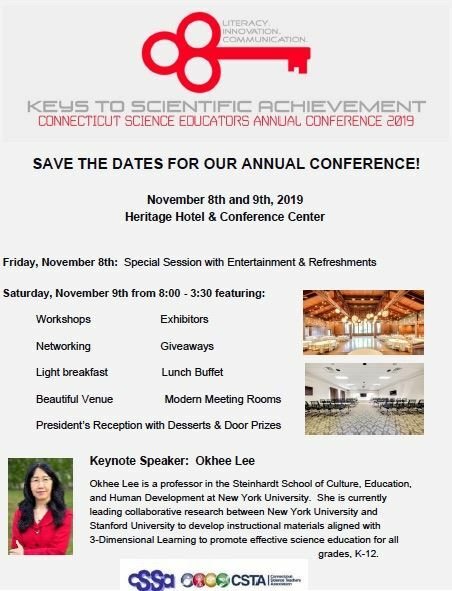 CT Association of Biology Teachers Central Connecticut, April 6, 8:30 - 4, $20. Schedule on link. Go To Grants to view teacher fellowships and professional development opportunities.